When you need fast and effective heating repairs in Buford, Georgia, who do you trust? 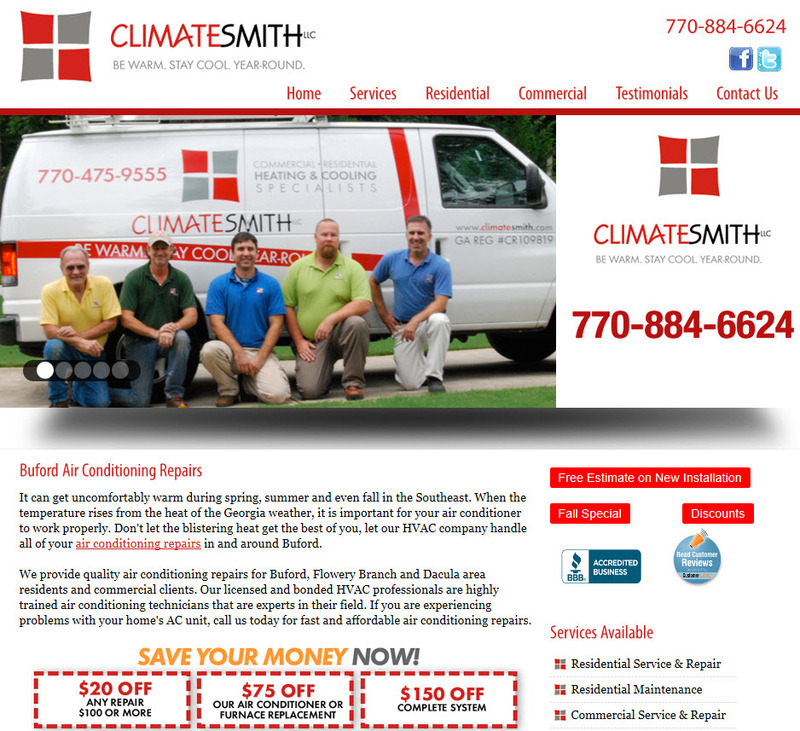 You can trust the experts at ClimateSmith, LLC. We are a full serving heating and air conditioning company and serving commercial and residential clients in Buford and the surrounding areas. Our fully licensed, bonded and insured HVAC company offers top quality heating repair services at competitive prices and a level of professionalism that you won’t find elsewhere. For expert furnace repair services in Buford, turn to the talented professionals at our HVAC company. We can keep you warm and cozy all winter long. Our technicians are highly trained and have extensive experience repairing furnaces of all different makes and models. Our service calls consist of a comprehensive diagnostic evaluation of your system prior to performing any type of service or repairs. Once we have determined the problem, we will offer you the full cost of the repairs or, if needed, the cost to replace your system. Should you need to replace your furnace, our knowledgeable technicians can help you select an energy efficient model that is tailored to fit your specific needs. When it comes to heat pump repairs in Buford, Georgia, you can count on us! Our heating and cooling company understands how disruptive problems with your heating system can be to your home or business, especially during the cold months in the winter. That is why we will respond quickly when called and find the most efficient solution to your heating problems. Please give us a call today to schedule repairs for your heating system or furnace or to get more information about our seasonal specials or our financing options. We look forward to serving you with top quality heating repairs.